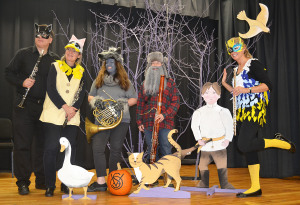 This kid-friendly woodwind quintet concert includes an introduction of the instruments and several seasonally spooky selections. 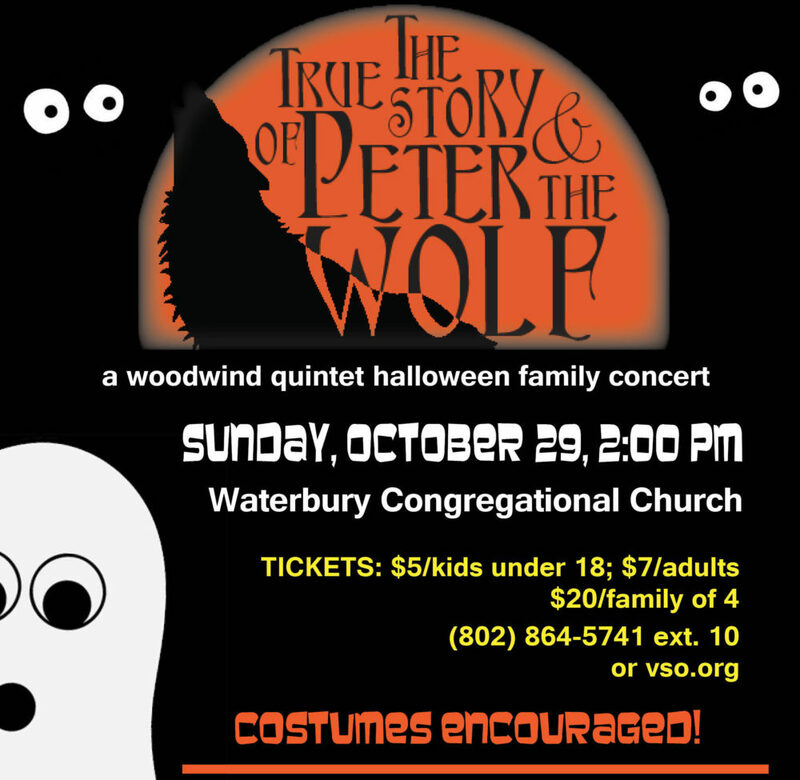 The highlight of the performance is an arrangement of Prokofiev’s classic “Peter and the Wolf.” Our special guest narrator is Peter Hamlin from the Middlebury College music department. Audience members (young and old!) are welcome to come in costume if they like; there will be a parade of costumes. Special thanks to the Central VT Friends of the VSO!